Thank you for visiting the website of Cromford Parish Council, Derbyshire. We hope that you will find all the information you need about our village and its council. Perhaps, if coming across us for the first time, you will be encouraged to visit and see our historic village for yourself. 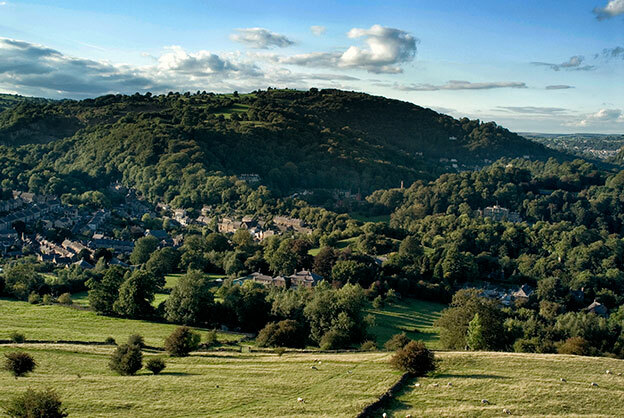 Cromford is the northern gateway to the Derwent Valley Mills UNESCO World Heritage site. The Cromford Mills are where Arkwright’s Water Frame and the Spinning Jenny were first used by Sir Richard Arkwright to produce cotton. With this new technology and the need to house his workforce it was possible for Arkwright to use unskilled workers in the production of cotton goods and thus both the modern factory system and Cromford village were born. Cromford is known as the birthplace of the Industrial Revolution and the factory system. The original mills on Mill Road are where you will be able to experience the power of the water that first drove the machines and learn a little more. The mills on Derby Road that were built later now have a modern shopping village as well as a museum. We believe that what makes this village unique is that if you want more exciting activities or tougher walks then you will enjoy the surrounding hillsides of the Peak District National Park. If all you want is a gentle stroll then walk along the historic canal or into the village centre, to see a number of other historic buildings. While in the village you could also enjoy one of our pubs, restaurants or cafes and a number of interesting shops. A visit will also show that Cromford is not just a historic attraction, but also a living, working village with much to offer visitors as well as residents.